What makes Blanche Lake a femme fatale? She doesn’t try to seduce the detectives who are investigating the case of her missing daughter as did Kitty Keeler in The Investigation. Although Blanche Lake is an attractive woman who has just moved into New York City with her three-year old daughter she is not drop-dead gorgeous as is Jennifer Rockwell in Night Train. Nor is she money hungry like Dolly Henderson in Honor Bound. Blanche Lake is very frightened and very disturbed. Though little physical violence is present in the novel, Piper brutally deals with the psychological violence that is a common theme throughout her noir thrillers. Evelyn Piper was Merriam Modell ‘s pen name. She has also been referred to as Miriam Levant, the name she was given on her birth in Manhattan in 1908. Her novel The Innocent – a domestic suspense novel was nominated for the Edgar Award for Best First Novel and Bunny Lake is Missing was made into a Hollywood film. It’s unfortunate that in the movie version changed Blanche Lake’s name to Anne Lake. Blanche, conjures up Tennessee William’s femme fatale, Blanche Dubois – a clear connection to Blanche Lake. In an excellent article on the movie versus the book, Jake Hingston at criminalelement.com wrote this about Blanche’s character. Is Bunny real? Or did Blanche imagine a daughter for herself, the result of some trauma in her past? All we know for sure is that Blanche’s terror is real. As daylight bleeds away and night falls, she struggles to keep herself together. Is this frightened young woman going insane? Piper doesn’t reveal the answer too soon, and by keeping us guessing she pulls off a neat trick: we’re certainly pulling for our heroine against all the skeptical people around her, even though we’re not sure if we believe her. For most of its length, Bunny Lake Is Missing is a complex page turner…Is she crazy? Or is she a woman caught up in the grinding machinery of a man’s world? It’s the urgency of those questions, and not the plot mechanics, that stays with you after you finish the book. This entry was posted in Femme Fatale and tagged BLANCHE DUBOIS, BLANCHE LAKE, Bunny Lake is Missing, EVELYN PIPER, femme fatale, HONOR BOUND, JENNIFER ROCKWELL, NIght TRain, Tennessee Williams, The Investigation. Bookmark the permalink. Oh, my goodness, Carol, I hadn’t thought of that film in years!! Wow! And you’re right about the femme fatale qualities here. Not in the traditional sense, as you point out, but definitely there! Reading Bunny Lake is Missing was a nail-biting experience for me. As I read I kept wondering why Blanche Lake was a femme fatale. She didn’t fit the mold. But she was definitely a damsel in distress. As I child, I admired Xena: Warrior Princess because although she was beautiful, she didn’t really use seduction to get what she wanted. I still haven’t gotten around to reading Gone Girl. That you loved the book and many people didn’t just proves two things: 1) write what you like and 2) you can’t please everybody. I’m so busy reading all the current stuff out there I really should read some older novels for contrast. Thanks for sharing. Late here today….But well worth the wait Carol! Another great post. Excellent review. You’ve skillfully dangled the right amount of intrigue for me to want more! You made me go back to my research. 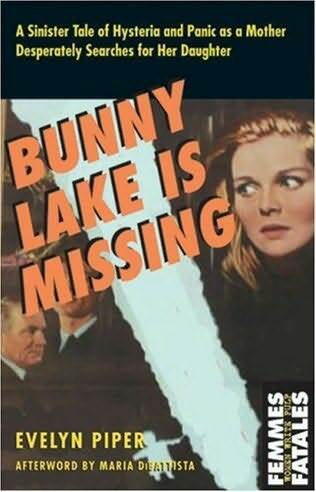 In the 1965 movie version of Bunny Lake is Missing.Carol Lynley played Anne. Originally it was supposed to be Jane Fonda. This is good how you explained what a femme fatale is and how it can encompass more than looks, Carol! I enjoyed this biography about Blanche Lake. I think the book that intrigues me, is the one with the mother moving to NYC, with a young child. This is unusual plot, in and in itself. There weren’t so many ‘single mom’ heroines, this would be definitely a page-turner! I remember watching that movie, but have only a few memories of the plot. I enjoyed this post, immensely, Carol! Hilary, I went on Amazon and did a look inside of your novel, Unseen Unsung. Those are thrilling first pages, Hilary. 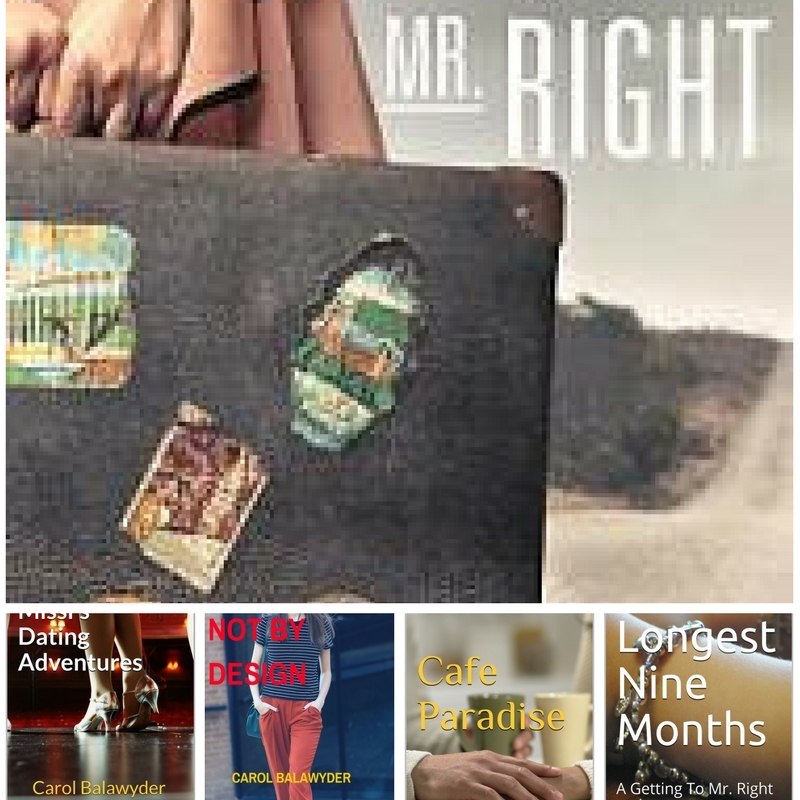 I was so taken in by what i read that I downloaded your book. I don’t know when I’ll get to it but I’m looking forward to reading it.:). Excellent article, Carol. The questions, oh the questions, when presented well they stay with us long after we put the book down. Taking our imagination on a wild ride, that’s great talent. A good artist is one who possesses the rare gift of leaving the reader with questions, even after the plot has been masterfully solved. Loved reading this. Yet another woman writer whose work you’ve resurrected for us, Carol. I wonder if femme fatales were the back in the day version of modern, liberated women. They are and Feminist Press has its mission to spotlight these women and resurrect them for us. what about Lauren Bacall – the FEMME TOTALE?… RIP. Lauren Bacall – FEMME TOTALE…Absolutely ! RIP.